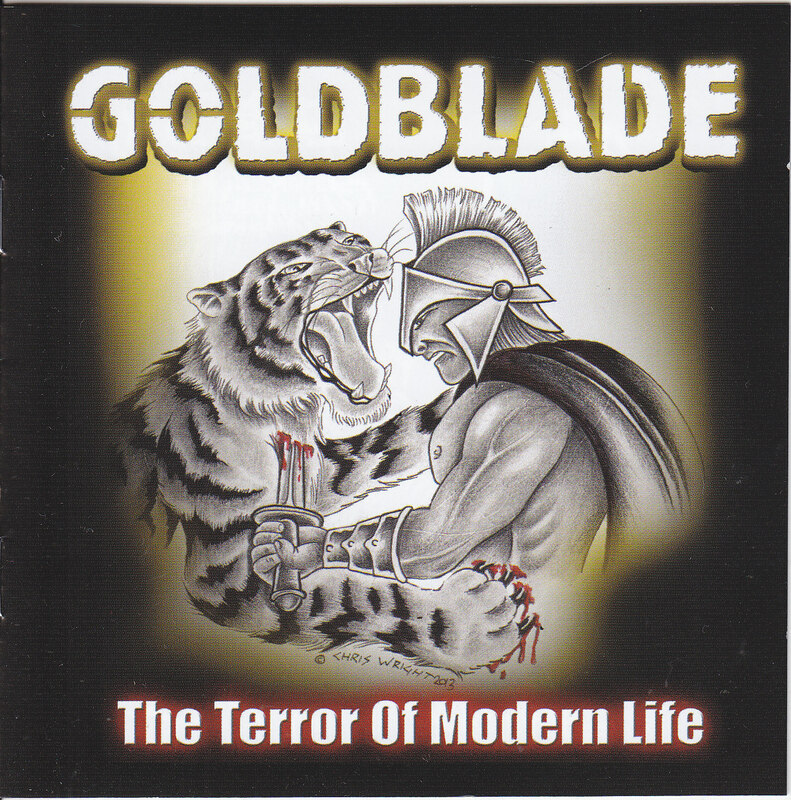 13 slabs of modern day Punk rock is presented to us here in the form of Goldblade’s new album. This band have been touring worldwide since 1995 with a work ethic that is second to none. Give them a gig and a chance to get to it and the men from Manchester (or at least living there) will do their damndest to make it. It’s been 5 years since their last album, Mutiny, but in that intervening period they have played in Europe, America, Asia and Africa and singer John Robb manages to turn up almost weekly on television discussing some aspect of music. This album is a punk rock bespectacled look at the world these days. From Brother Johns succint observations to Brothers Keith and Pete’s manic riffs to Brother Robs frantic drumming we are served up a fast punk lesson. Listening to the drone like title track and the Membranes esque bass driven sound of tracks like Shaman is Coming and hey You Elastic Face gives an insight to the bands record collection. It’s like a history lesson of independent music, part Killing Joke, part Clash, but in no part trad Rock this takes us on a journey through popular music culture. Goldblade’s real value has been in their live shows which are an anarchic mix of rebel rousing choruses and the antics of lead singer John Robb. However this album has brought us a step closer to that experience. I’ve been using it as a soundtrack to my jogging. Plenty of speed to keep me going but not too fast for me to loose pace. And then there’s the singalong bits “Psycho Takes A Holiday” and “Sick/Tired” notable ones, however if you see an aging man jogging down the street, grinning and singing “We’re All In It Together” don’t run away from me….